Time to unleash some glittery polish goodness from my draft folder! I've always had a soft spot for Lynnderella nail polishes because they were some of the first indies I coveted. This was back when the indie polish scene was just starting to get a lot of buzz, back in 2011! Historically Lynns haven't been too easy to get to New Zealand so each polish has been slowly, carefully and lovingly selected over time. Although I see their newish Storenvy store offers an international shipping option now, so that could change! 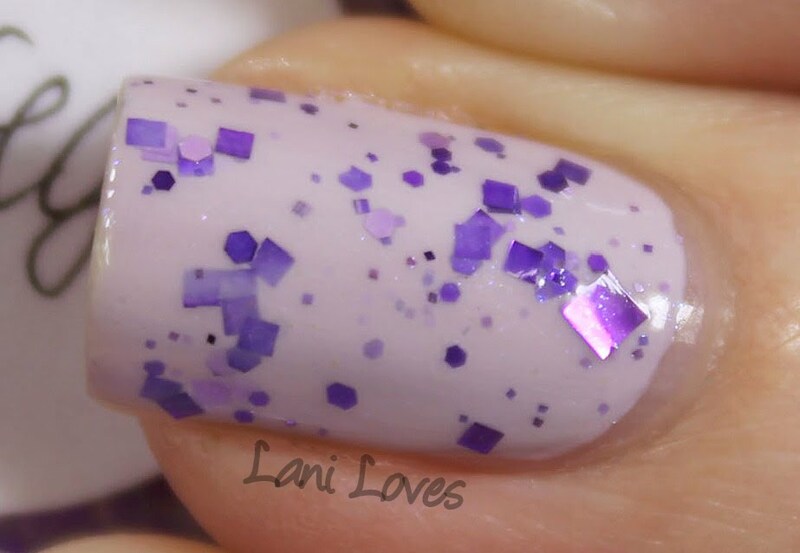 Super fine blue and violet glassfleck shimmer and a sprinkling of white glitter? Be still my heart! Super easy to apply with minimal dabbing to place the larger glitters. I suspect this was limited edition, I can't find it in either of Lynnderella's stores. Boy-Girl Party is pure glitter bomb fun! There's heaps of blue, red, pink and fuchsia glitter in here, so I layered it over co-ordinating undies. Because it's resplendent with large glitters, Boy-Girl Party works best when applied in a dabbing motion. This is a permanent part of the Lynnderella range. Salad Days is another super fun polish, it's all the components of a salad re-imagined as glitter and bottled! Lots of dabbing here. Also a limited edition or discontinued shade. Happy HoloDaze! is probably my favourite Christmas polish of all time. The colours and glitter density are perfectly balanced, I'll definitely be wearing it again this Christmas. Not much dabbing needed here, just to reposition any errant large glitters. One of the original crelly glitters, showing that simple doesn't mean boring! 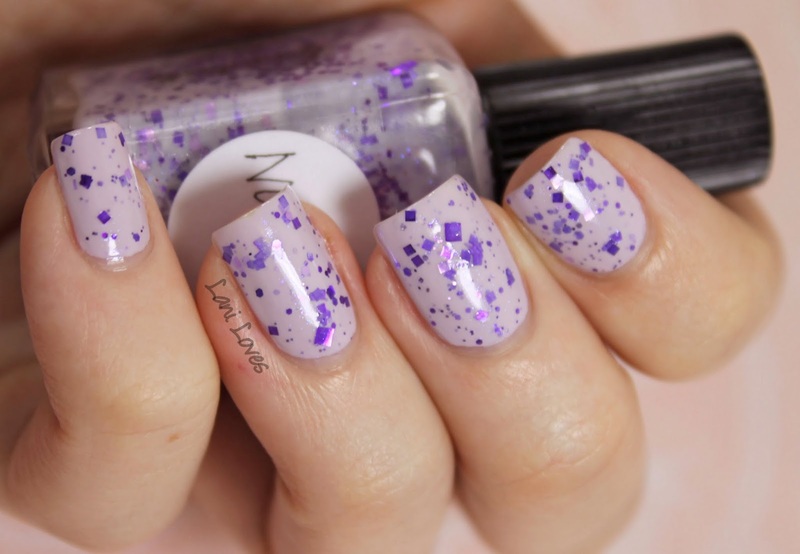 Nosegay is a delicate lilac with darker purple glitters and very fine secret shimmer. I layered it over matching undies as it is very sheer on its own, but it applies smoothly without any dabbing necessary. I think this has also been discontinued.